Figure 4. 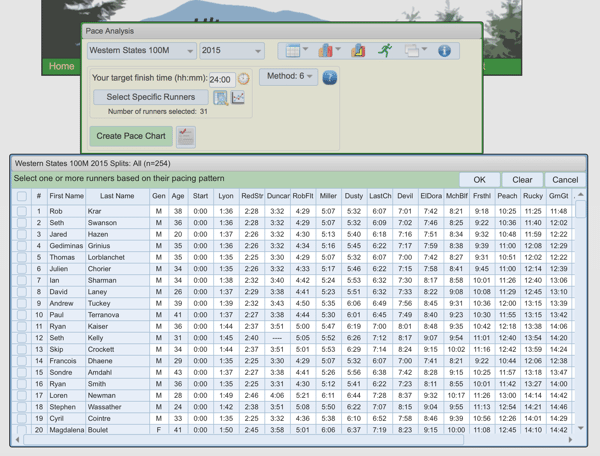 Race splits for Western States 100 Mile Endurance Run collected from UltraSplits. This figure shows only the top finishers, but all finisher splits from 2012 to present are available.